James Bond’s 1965 Aston Martin DB5 has been offered for sale in Europe. The iconic Aston, which comes fitted with machine guns, bullet-proof windscreens and revolving number plates is expected to fetch more than $4.5 million. James Bond’s 1965 Aston Martin DB5 has been offered for sale in Europe. The iconic Aston, which comes fitted with machine guns, bullet-proof windscreens and revolving number plates is expected to fetch more than $4.5 million. Just four of the classic British cars were made for the Bond franchise, with only two examples given Q Branch’s famous gadgets. This particular example was built to propel Bond in the 1964 film Goldfinger but never actually saw screen time, instead being used for promotional purposes. 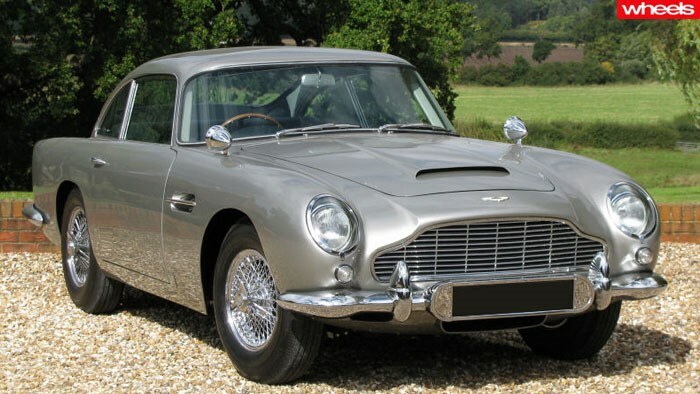 The main car actually used in the Goldfinger and Thunderball films mysteriously vanished from a Florida aircraft hanger in the 1990s, making this the only remaining DB5 with original Q Branch modifications. But don’t think this aging Aston is simply a show car. A 4.0-litre engine lies under the bonnet, producing 210kW – enough power to push the DB5 to a top speed of 240km/h. The DB5 was the first Aston to be used by Bond and spawned an iconic partnership that spanned 11 films and 50 years of cinema. This car was last sold in 2006 where it fetched $3 million.